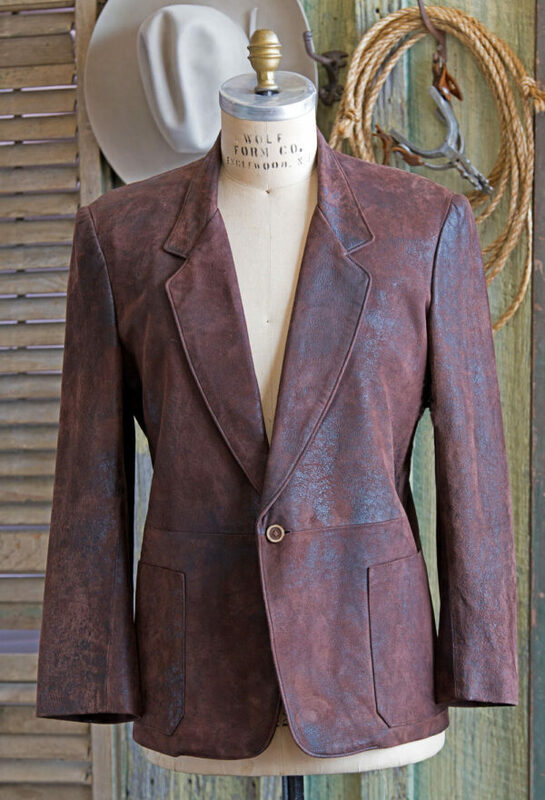 Mans Blazer made in lamb skin. This leather has amazing character. 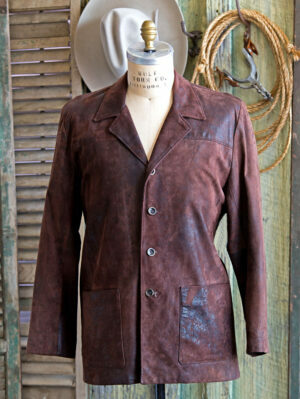 With one bone button and patch pockets, jacket is lined with 2 inside pockets. 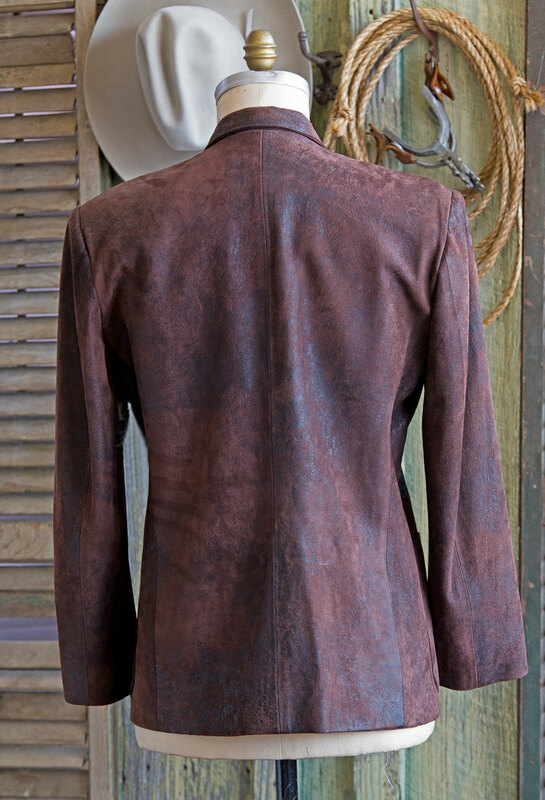 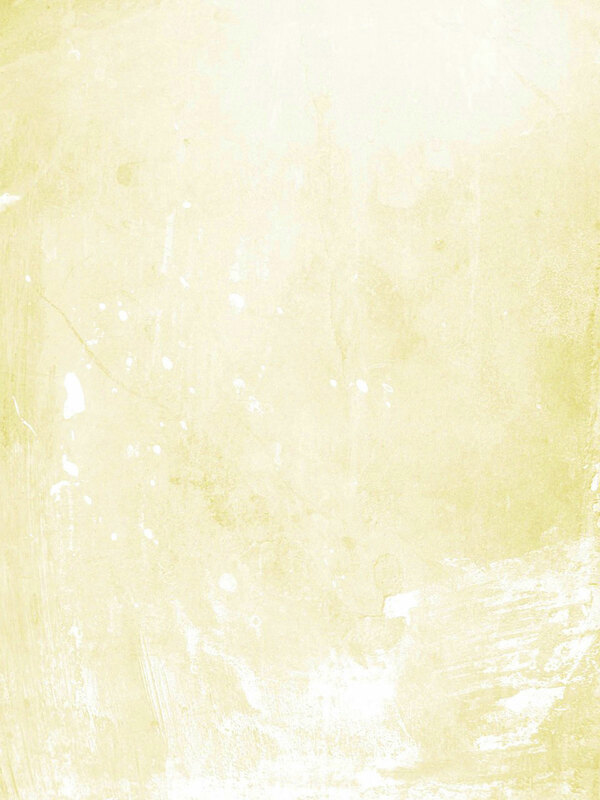 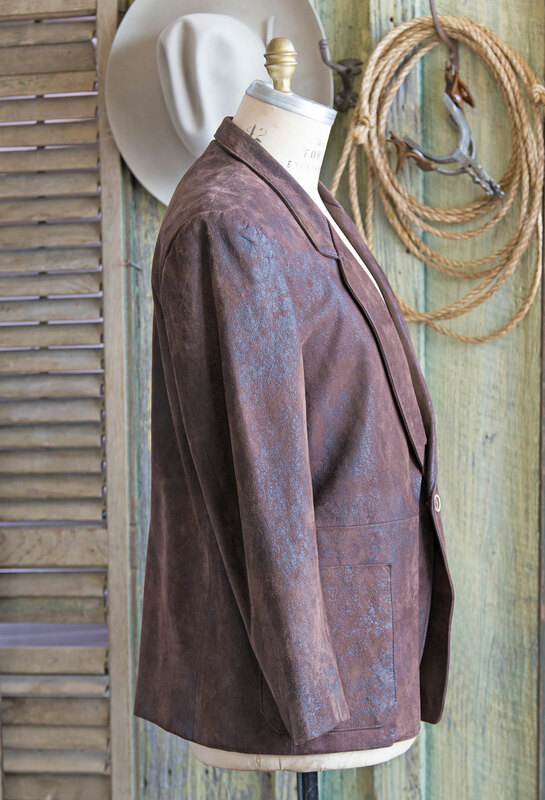 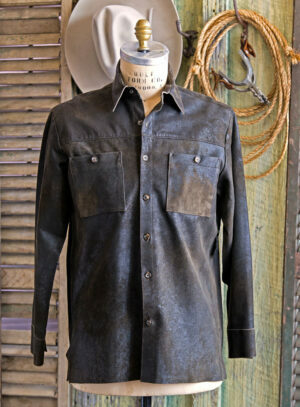 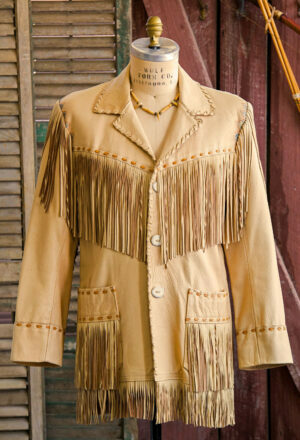 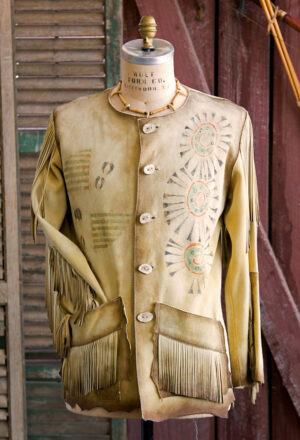 Shown in Rough Rider lamb skin.